Canadian legend. International star. Breaker of barriers. Winner of hearts. 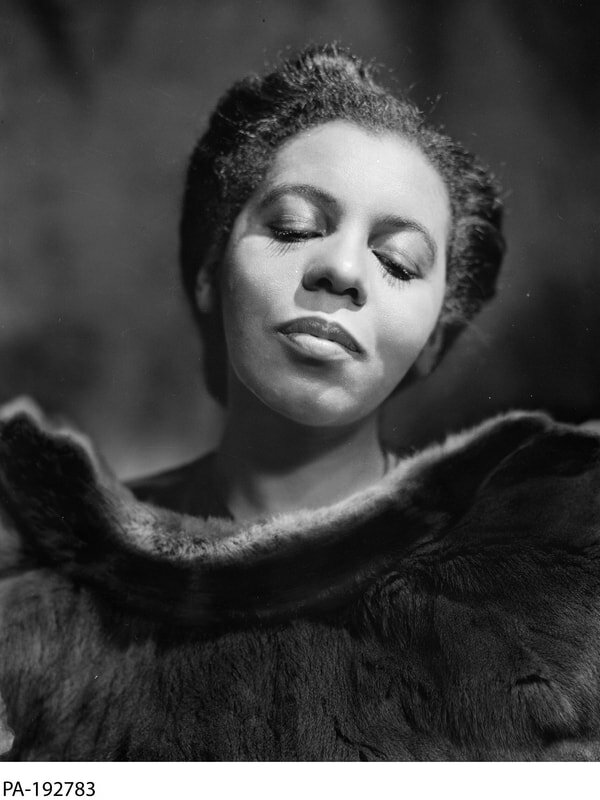 At age 30 the darling singer of classical music from Nova Scotia embarked on a concert career that would lead her to world fame in the 1940s. 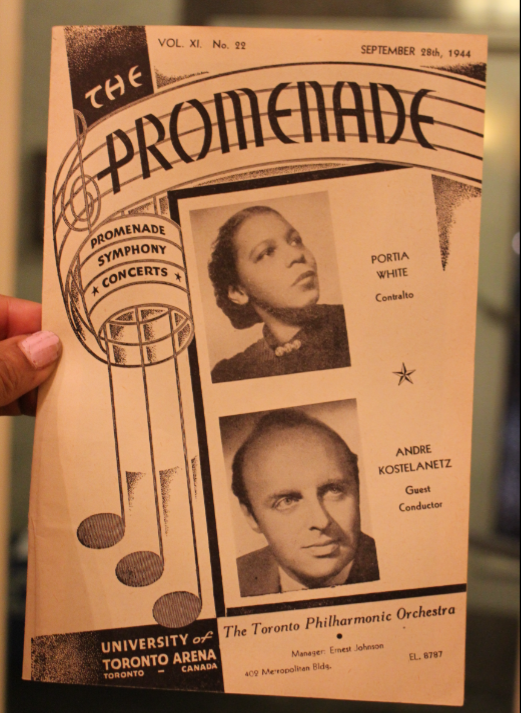 In an era of overt racism, Portia distinguished herself as the first Black Canadian to establish an international career, defying colour barriers in the doing, opening the door for others who followed. 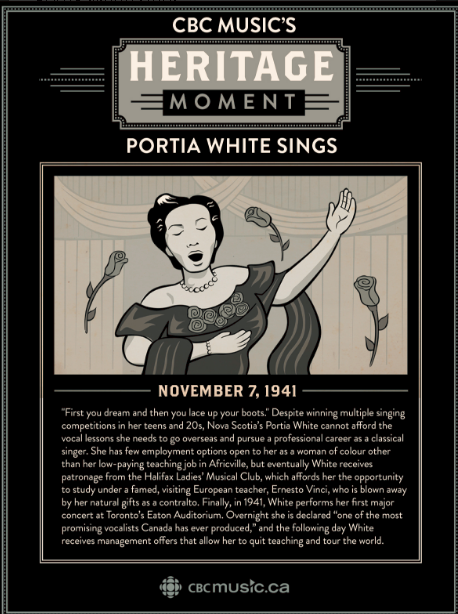 A revered vocal coach after retiring from the concert stage, downtown Toronto was Portia's home from 1953 until her death from cancer in 1968 at age 56. Photo of Portia at right was taken by famed photographer, Yousuf Karsh. This portrait hangs in the National Gallery in Ottawa.